Jurgen Klopp was adamant that Alberto Moreno was not at fault for Arsenal’s opening goal at the Emirates last weekend. Just moments after giving away a rash penalty – which Mignolet subsequently saved – Arsenal took the lead thanks to a goal that came down Moreno’s side of the pitch. The Spaniard was a long way up the field, leaving most fans to think he was just out of position, but Klopp has insisted he was following instructions. Instead, he said other players failed to carry out their duties. “I was not too happy with our defending in the first half,” Klopp said. “For the first goal, Adam Lallana lost the ball, he had no real chance to keep it as (Francis) Coquelin made a really good tackle and a good pass. “We need the player to jump out to make the offensive transition, but we also need the other players there to fill the spaces. “This is a process. We want it but two hours training today, tomorrow does not mean you know it in a game because you are under pressure. “This decision is made from here (points to stomach) not here (points to head). Time, experience, success, good results – all that stuff means we can do it more easy.” (via Echo). 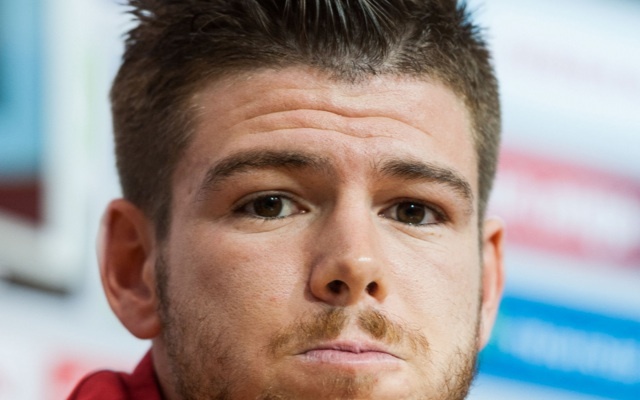 Moreno was savaged on social media after the game, but Klopp earlier today suggested he was happy with the left-backs at his disposal – saying Milner and Klavan could both play there.